Some time ago I worked heavily on SugarCRM Community Edition 5.5 in order to add support to the database PostgreSQL .The implementation process was quite complex because of the many “if $ dbType …” scattered left and right for the source code. With the introduction of version 6.4 of SugarCRM, I was able to appreciate the work done on the level of access to data in the data base (and here I wrote a short post https://musarra.wordpress.com/2011/11/28 / sugar-community-edition-6-4-beta-db-refactor-layer ), which is why I decided to port the DB driver on the 6.4 version of the SugarCRM. To my surprise, after a little time, I achieved good results! 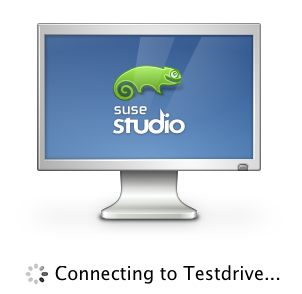 Thanks to its Suse Studio, I made ​​the flight, a Virtual Appliance specifically for the couple SugarCRM / PostgreSQL. I hope you had a good idea and that many will appreciate! Is possible to run an immediate test drive or download the Virtual Appliance (VMware Image format) to install it locally, I remember, in fact, that the test driver has a duration of only 60 minutes. All the details on the Virtual Appliance is available at the following address http://susestudio.com/a/2Vav5p/sugarcrm-ce-6-4-postgresql , while on the Wiki page PostgreSQL illustrates the steps of the Quick Launch with the Virtual Appliance. Partner requested that we support PostgreSQL – Send your comments and vote on this bug entry (created by John Mertic) to show your interest and support.